Whether I’m reviewing for Gapers Block or not, I revel in seeing a lot of plays. On one recent weekend, I went to the theater four nights in a row. And then more the next week. Here’s a recap of my recent theater feast. Most of these plays are still showing, so get thee to a theater! Jane Austen’s Northanger Abbey at Remy Bumppo Theatre at Greenhouse Theatre Center; through November 10. The Jane Austen play gets a delightful, charming and funny presentation by the reliably solid Remy Bumppo. The set is used wisely; costumes are simple and elegant. Outstanding performances by Sarah Price as Catherine Morland and Greg Mathew Anderson double cast as Valancourt and Henry Tilney are supported by a uniformly excellent cast. It’s particularly fun to see Catherine’s love of books and her reader’s imagination translated into stage action. Thoroughly enjoyable. Zinnie Harris’ The Wheel at Steppenwolf Theatre; through November 10. The reviews of this play are mixed to say the least. Of nine reviews, only one is highly recommended; the others are somewhat recommended or recommended. One of my neighbors warned me it was “dreadful.” So of course I went to the theater with low expectations … and was wowed. The play is directed by Tina Landau and stars Joan Allen, an original Steppenwolf ensemble member. And yes, it’s a sprawling mess as Beatriz (Allen) leaves northern Spain to wander the world from war to war, from century to century, with two children in tow, trying to find their parents. Sound a little familiar? 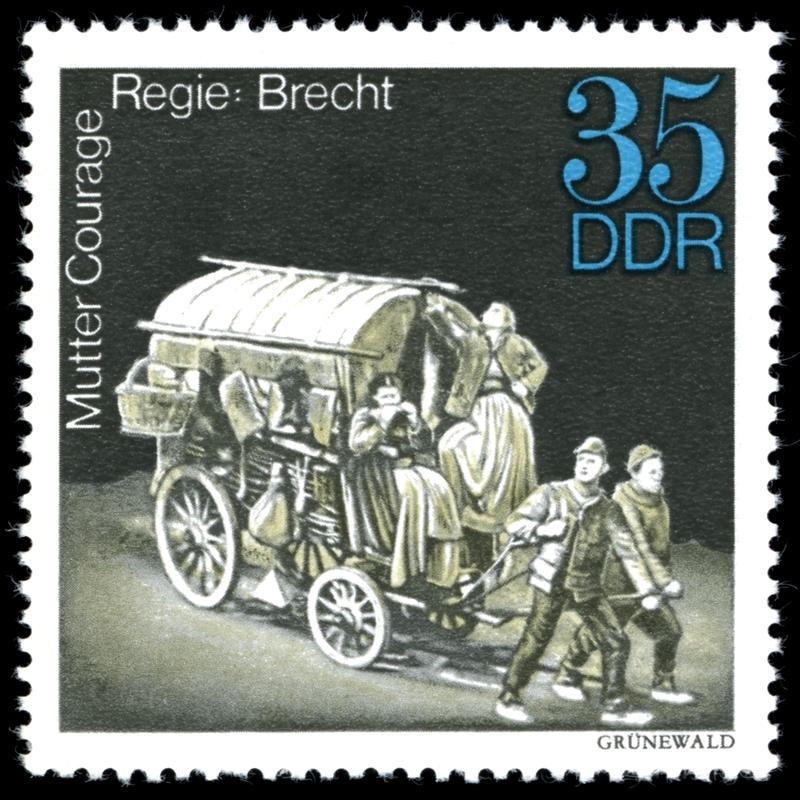 Yes, it’s Brechtian and a little reminiscent of his masterpiece, Mother Courage and Her Children, written about the Thirty Years War. There’s some magical realism, of course, and the events of the play make us ask moral and ethical questions of ourselves. The dialog is clever and evocative and the occasional music by the actors themselves adds a great deal. Plus it’s always a pleasure to see Yasen Peyankov on stage. Tim Hopper and LaShawn Banks also do excellent jobs, as do the two children. At the end, Beatriz is back in Spain, but the wheel keeps turning and she finds herself facing the same problems. It’s a fascinating and thought-provoking play. My Gapers Block review of The Goddess was just posted. The play concerns the childhood, dramatic rise and fall of a doomed blonde movie star. Chayefsky says he wasn’t writing it about Marilyn Monroe but it might have been Kim Stanley. The play is a bit choppy but the performances are excellent. The costumes are gorgeous and worth the price of the ticket alone. Artistic Home, at 1376 W. Grand Ave., helps Chicago deserve its rep as the home of great storefront theater. 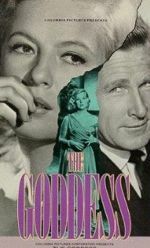 The 1958 movie starred Kim Stanley and Lloyd Bridges. Jean Genet’s The Balcony at Trap Door Theatre; closed October 12. Not Exactly Shakespeare’s 12 Nights at The Hypocrites; closed October 6. These are two of my very favorite small theaters. Both are amazingly inventive. I always look forward to their productions. Trap Door comes out of the legacy of European Repertory Theatre, the late lamented theater of the 1990s. For both ensembles, many of its members are or were European born or trained. I still remember how the ERC production of Steven Berkoff’s Agamemnon sent shivers up my spine. Trap Door chooses European classic and contemporary scripts and performs them with great wit and panache in a tiny space. The Balcony, set in a brothel and making fun of politics and society, is a great example of their work. The Hypocrites is reliably crazy, quirky and never boring. Sean Graney, the former artistic director, created and directed 12 Nights out of Shakespeare and a few other sources. His work is literate, witty and imaginative. The new artistic director, Halena Kays, is a worthy successor. Her production of Pirandello’s Six Characters in Search of Author was imaginative and riveting. I’m taking my grandson James to see William Golding’s Lord of the Flies, part of Steppenwolf’s young adult series, this weekend. More on that later. I want to see Killer Angels, a Civil War play by Michael Shaara, at Lifeline Theater through November 24. And Trevor by Nick Jones is a dark comedy about a chimp. It’s at A Red Orchid Theatre through December 1.